Disney Interactive has released five new custom-built toy boxes for their hit “Disney Infinity.” This new content is available now and free of charge on the Xbox 360, PS3, and Wii U. Alongside this release, they have also shown off some screenshots and videos for the new toy boxes. Those new assets can be found below. The Infinity universe continues to expand and it’s a safe bet that it won’t be stopping anytime soon. 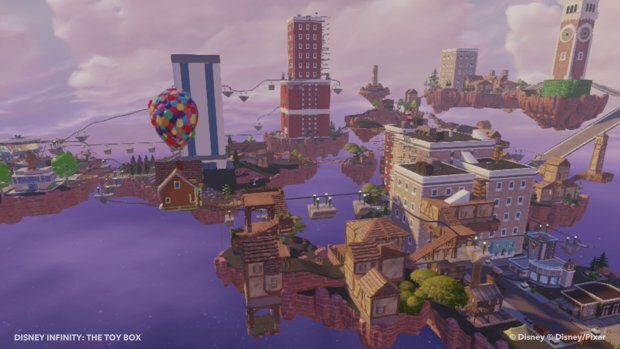 Disney Infinity’s Toy Box is a wide-open space that gives players free range to create entire levels or worlds of their own. Players can upload their creation onto Disney’s server and Disney will curate and release the best ones so all gamers can experience the magic. While you’re at it, check out our review for Disney Infinity. We’ll keep you updated as more content is rolled out for this ever-growing property.